Home/Inside Pain Blog/What Is Restless Leg Syndrome? If you experience pain or discomfort in your legs that makes you feel like moving around, especially at night, you may have a condition called restless leg syndrome. For an estimated six million people in the U.S., this is a familiar bedtime routine. After a long, busy day of work, fun, and family, they finally fall into bed at night and turn out the light. Hoping to fall to sleep, instead, quick movements of the legs (along with other symptoms) keep them up for hours. When they do manage to fall asleep in short intervals, restless legs wake them up regularly. Every morning they rise out of bed, barely having slept. Restless legs syndrome is a chronic, disruptive problem. What is restless syndrome and what are some restless leg syndrome treatments? Restless legs syndrome (RLS) is a neurological condition that results in uncontrollable twitching, jerking, pulling, and movement of the legs. This urge is involuntary and results in an inability to lie still or relax. Restless leg syndrome affects as many as 10% of the population in the U.S. Recent research from Boston University Medical Center has found that beyond the symptoms that rob a person of sleep and cause discomfort, restless leg syndrome can be an initial indicator of an underlying disease. We’ll discuss the related conditions of restless leg syndrome, shortly. Starting before the age of 45, RLS tends to get progressively worse over time and is generally hereditary. Mild cases may have long periods with no symptoms. This is categorized as a chronic condition. Starting after age 45, RLS does not appear to have a genetic component and seems to have a direct cause (medication, other condition, etc). Onset is abrupt, and symptoms generally stay at the same level, neither getting worse nor better over time. Removing the direct cause often resolves the symptoms. Caucasian women experience restless leg syndrome at much higher rates than their African-American counterparts, indicating that race is a good predictor of this condition. Pregnancy and Parkinson’s disease are also potential causes, and as we’ll see, restless leg syndrome and fibromyalgia are closely related. Adults with fibromyalgia are ten times more likely to experience restless leg syndrome. Restless leg syndrome is often confused with periodic limb movement of sleep (PLMS). The two conditions are very different, although it is possible for a person to suffer from both at the same time. PLMS is a sleep disorder in which a person involuntarily and often unknowingly move their limbs. For example, a twitching or kicking of the legs, while asleep. The legs may twitch or jerk involuntarily as often as every 15 to 40 seconds throughout the night. RLS, on the other hand, is a neurological disorder that can be a problem while a person is awake or sleeping. The condition is characterized by sensations that are very uncomfortable, bordering on pain. As many as 80% of people with restless legs syndrome also report having periodic limb movement of sleep. A person can have PLMS without having restless legs syndrome, but many with restless legs syndrome see their symptoms worsen over time to include PLMS. What are some restless leg syndrome symptoms? These sensations are strong enough to interfere with sleep. Patients report that the only way to achieve relief from symptoms is to move. Restless leg syndrome symptoms may be slow to start and get worse over time. Rarely, symptoms may also occur in the torso, arms, and head. Because they are unable to get a full night’s rest, people suffering from RLS often have difficulty functioning during the day. Patients report that their fatigue during the day is severe enough to impact their lives, making work, relationships, and travel difficult. Characteristics of fatigue include inability to concentrate, poor memory, depression, and irritability. People with severe cases of restless legs syndrome may have a daily occurrence of these restless leg syndrome symptoms. Those with mild to moderate restless legs syndrome may experience symptoms two times or less each week, with only mild disturbance of sleep or other restful activities. Restless leg syndrome symptoms may also go into remission for a period of time, but they generally return, sometimes at a more extreme level. Lack of iron in the body or inefficient or improper use of available iron is the main trigger of restless leg syndrome. Iron helps the brain produce and regulate dopamine. Dopamine is a chemical found in parts of the brain that regulate movement. Many diseases or conditions (e.g., Parkinson’s or renal failure) can hinder the brain’s ability to use dopamine properly and can increase the risk of restless leg syndrome. Nerve damage in the feet and legs, and sometimes even in the arms and hands, can trigger restless leg syndrome. People with diabetes often suffer this type of nerve damage and are at increased risk of RLS. Is there a genetic component to restless leg syndrome? The Institute of Human Genetics, Helmholtz Zentrum Munich and the Technische Universität Munich have been examining genetic data to see if restless leg syndrome has any genetic markers. They examined the genetic sequence of 4,876 restless leg syndrome patients as well as the genetic sequences of 7,280 control patients and found two genetic regions that may have a role in restless leg syndrome. Because restless leg syndrome is a neurological condition, it makes sense that one of these regions is in a gene that regulates brain activity (TOX3). This gene protects neural cells from death, but restless leg syndrome causes that may be related to genetics are not yet clear. What conditions are related to restless leg syndrome? Beyond the lack of sleep and unpleasant physical sensations, researchers have found links to restless leg syndrome and some serious underlying conditions. Boston Medical Center neurologist Sanford H. Auerbach, MD followed up with 12,556 men with this condition. He found that there were many different diseases that could be connected to restless leg syndrome. The above study looked only at men with RLS, but researchers from Brigham and Women’s Hospital and Harvard Medical School reported in the journal Hypertension: Journal of the American Heart Association that women also had an increased risk of hypertension with restless leg syndrome, anywhere from 6-41%, depending on the severity of the condition. They cannot say which condition causes the other, but their findings are important, as women suffer restless leg syndrome at approximately twice the rate of men. In addition to hypertension and heart disease linked with restless leg syndrome, this syndrome can also indicate kidney failure, diabetes, and rheumatoid arthritis. In some conditions related to restless leg syndrome (such as pregnancy), resolution of the condition relieves the symptoms, but for chronic medical issues restless leg syndrome may be a chronic condition to be managed. Of these other medical problems, restless leg syndrome is one of the most prevalent. Many fibromyalgia non-pain symptoms are sleep-related, such as insomnia or daytime drowsiness. Indeed, one of the major diagnostic criteria for fibromyalgia sufferers is fatigue. And, as we know, restless legs syndrome directly interferes with a person’s ability to get a good night’s rest. A recent study published in the Journal of Clinical Sleep Medicine examined the relationship between restless leg syndrome and fibromyalgia. The study found that restless leg syndrome is ten times more common among those with fibromyalgia than in the rest of the population. Restless leg syndrome and fibromyalgia share several symptoms. Most notably, both lead to fatigue, daytime drowsiness, and lowered mental acuity. Additionally, both restless leg syndrome and fibromyalgia are much more likely to affect women. The study actually suggests a deeper connection between restless leg syndrome and fibromyalgia than a simple tendency to co-occur. For example, it’s suggested that both conditions might share underlying pathophysiologies, so that a person predisposed to one might also be more likely to develop the other. In addition to this, antidepressant use may have been identified as inducing RLS. Antidepressants are often used to treat the pain associated with fibromyalgia, so if this is the case, treatment for one might lead to or exacerbate the other. Our video explains more about what fibromyalgia is. Because both of these conditions are so connected, it’s important to see a pain doctor who is familiar with both restless leg syndrome and fibromyalgia. However, research has found that treating restless leg syndrome in someone with fibromyalgia might also alleviate some of their fibromyalgia symptoms. The relationship between fibromyalgia and sleep is well-known. Pain can make sleeping difficult, and fatigue from a poor night’s sleep can exacerbate pain. The cycle repeats over and over, resulting in ever-worsening pain and fatigue. There are also several medications that have shown success at treating restless leg syndrome. Interestingly, some of the drugs used to treat restless leg syndrome are also used to treat fibromyalgia, such as benzodiazepines. How can you get a restless leg syndrome diagnosis? Restless legs syndrome is not diagnosed by one test but rather by patient self-reporting of symptoms. Pain doctors will use the patient interview to evaluate symptoms and identify the presence of similar symptoms in other family members. They may also use blood tests to identify or rule out other conditions (e.g., anemia). Some doctors will recommend a sleep study in which the patient is observed for several nights in a clinic. Other sleep conditions such as sleep apnea can complicate the management of restless leg syndrome. RLS is less common in children and harder to diagnose. Doctors may not recognize symptoms for what they are and may call them growing pains or a by-product of other conditions, such as ADHD. Children may have difficulty describing their symptoms or giving an estimate of their duration. As many as one million children, however, suffer from restless legs syndrome, and many of them are undiagnosed. What restless leg syndrome treatments work? There are a number of treatment options for restless leg syndrome. For some causes, such as peripheral neuropathy, successfully treating the underlying cause may result in disappearance of symptoms. Additionally, many pregnant women find that their symptoms disappear once they give birth. What to do for restless legs depends largely on what factors may be contributing to the condition. Treatments can be as varied as the people who suffer from this condition. There is no cure for RLS, but there are ways to prevent or limit its symptoms. Some people who experience restless legs syndrome find that certain substances are triggers, causing more severe restless leg syndrome symptoms. These triggers can include caffeine, alcohol, and tobacco. Removing triggers is the easiest first step to take for RLS. Those with mild to moderate cases may find that these restless leg syndrome home remedies reduce their symptoms substantially just by making these simple changes. Some patients experiencing low iron may do well on a trial of iron supplementation. Others may find that magnesium deficiency is a culprit in worsening symptoms. Passionflower (Passiflora incarnata), valerian (Valeriana officinalis), and kava (Piper methysticum) are also all relaxing herbs that can be consumed as tea before bedtime. It is absolutely crucial to check with your doctor before utilizing natural remedies. The U.S. Food and Drug Administration does not regulate supplements. Some may interact harmfully with prescription medications you’re taking. Dopaminergenic drugs: These dopamine-increasing medications help the brain regulate smooth muscle movement. Benzodiazepines: These are utilized at bedtime to promote restful sleep but cannot be used during the day. Anticonvulsants: Anticonvulsants can help with the crawling sensation and may allow sufferers to relax. Restless leg syndrome medication’s effectiveness may diminish over time. Additionally, patients may experience unwelcome side effects that cause them to re-evaluate their prescriptions. Because of this, it may work better to attempt restless leg syndrome home remedies to prevent or limit symptoms before trying prescription medications. If you suffer from severe restless leg syndrome, contact one of our pain doctors today to discuss treatment options for this often unbearable condition. I am a 66 yo female with Fibromyalgia and degenerative disc disease (DDD) in my L3,4 and 5; I deal with chronic pain daily! The last couple of weeks my legs ache at night or when I relax. I don’t have the creepy-crawling sensation tho; just the ache. Could this ache be coming from the L3,4 and 5 DDD? It is a new sensation and I am concerned. I am on a few meds including a pain patch. The only meds that help are stronger ones; not ibuprofen or Tylenol. Thank you for your response! I know you can’t diagnose but any thoughts would help! Hi Kathy — We are so sorry to hear about the problems you’ve been facing with these symptoms. Unfortunately we can’t answer specific questions online, so you may want to see a pain specialist who is skilled at diagnosing this condition. 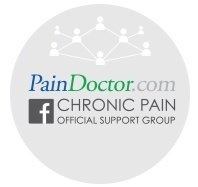 We recommend reaching out to a doctor in your area: https://paindoctor.com/get-relief-now/ or using the tips here to find one near you https://paindoctor.com/pain-management-doctors/. Hope that helps! The RLS is a dreadful disease because there is no specific treatment for RLS yet.